Perform search, observation, surveillance and evidence-taking for the sea or air targets around (e.g. ship, man in water, floating object on sea, aircraft etc.) in all weather conditions in 24h. Provide manual search, manual capture and automatic tracking. Color, B/W and infrared night vision multi-channel imaging system. Display CCD image and infrared image simultaneously on screen, provide good image stabilization. Provide motoring focusing, zooming and automatic focusing functions. Provide major failure display function (e.g. servo failure, angular measurement failure, system limitation, non-image failure etc.). Connect with gyrocompass, GPS, which is able to display and record the geographic position, date and time of the ship. Connect with navigation radar, provide radar direction function. Two-way standard video signal (one CCD, one infrared) output to video monitoring system. The detection lamp shall lighting and search for target area at night. 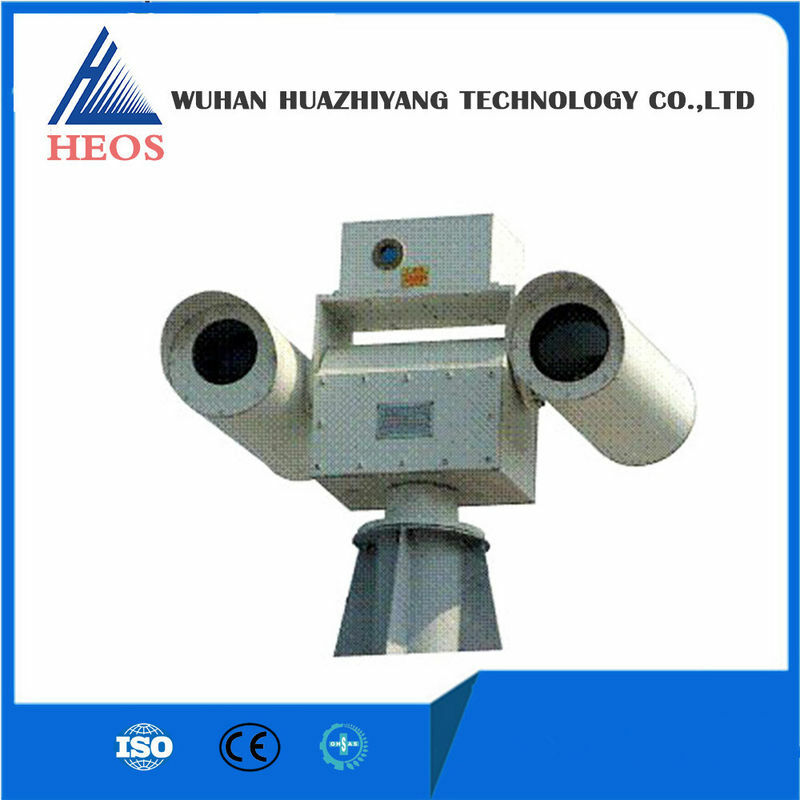 The optical shaft of search lamp is in horizontal with which of electro-optics evidence-taking, the search lamp can be applied at night for searching and evidence-taking auxiliary. Integrated tracking and evidence-taking and search lamp, the front end of search and evidence-taking shares same bracket with search lamp, two axis gyro servo stabilized with self-locking function; synchronous control the rotation; tracking and evidence-taking or search lamp can be on/off according to the requirement.